In the seventeenth and eighteenth centuries, a pioneering community of Christian scholars laid the groundwork for the modern Western understanding of Islamic civilization. These men produced the first accurate translation of the Quran into a European language, mapped the branches of the Islamic arts and sciences, and wrote Muslim history using Arabic sources. 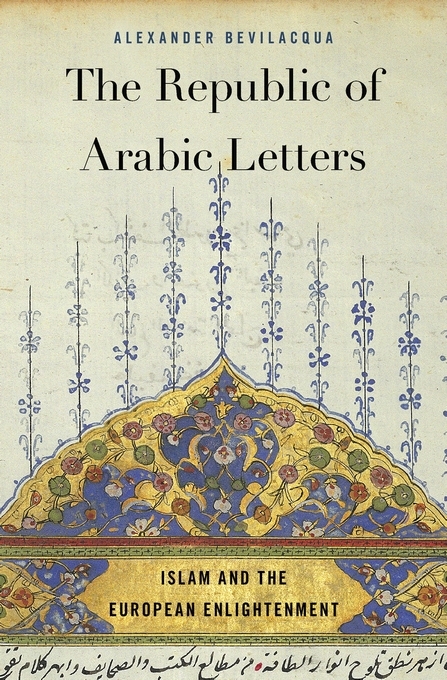 The Republic of Arabic Letters reconstructs this process, revealing the influence of Catholic and Protestant intellectuals on the secular Enlightenment understanding of Islam and its written traditions. Drawing on Arabic, English, French, German, Italian, and Latin sources, Alexander Bevilacquas rich intellectual history retraces the routesboth mental and physicalthat Christian scholars traveled to acquire, study, and comprehend Arabic manuscripts. The knowledge they generated was deeply indebted to native Muslim traditions, especially Ottoman ones. Eventually the translations, compilations, and histories they produced reached such luminaries as Voltaire and Edward Gibbon, who not only assimilated the factual content of these works but wove their interpretations into the fabric of Enlightenment thought. The Republic of Arabic Letters shows that the Western effort to learn about Islam and its religious and intellectual traditions issued not from a secular agenda but from the scholarly commitments of a select group of Christians. These authors cast aside inherited views and bequeathed a new understanding of Islam to the modern West.